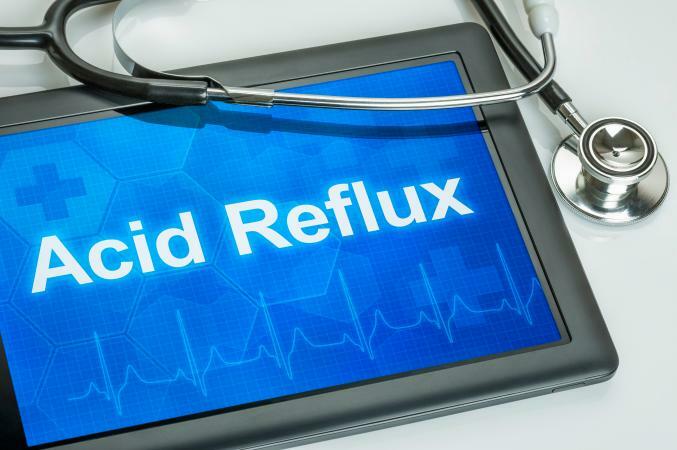 GERD, often referred to as heartburn or acid reflux, can cause significant pain and discomfort. Fortunately, there is a diet you can follow that will help minimize your symptoms. Try the following meal suggestions to help you feel better. Low-volume, frequent meals can help reduce intra-abdominal pressure, while choosing foods that are low in fat, acid and other GERD triggers can help keep acid reflux at bay. While breakfast is important to fuel you for the day, you'll want to keep it small and have a midmorning snack a few hours later. Does Chewing Gum Help With GERD? If you're in a hurry, whip up a smoothie. Consume half the smoothie for breakfast and the other half a few hours later after your stomach has emptied so you can keep abdominal pressure low and avoid triggering your acid reflux. To make the smoothie, which uses low-acid, low-fat ingredients to prevent triggering acid reflux, in your blender combine one banana, 1 tablespoon of almond butter, 1/2 cup of yogurt, 1 cup of skim milk (or low-fat, non-dairy milk like rice milk), 1 tablespoon of honey and 1 cup of crushed ice. Blend until smooth and pack the second half with you in a beverage container to stick in the fridge at work. If you need protein to sustain you, then scrambling two egg whites with one yolk in a nonstick pan spritzed with cooking spray is the perfect, low-volume breakfast. Add a slice of whole wheat toast spread with 1/2 teaspoon of butter or peanut butter and you're good to go. For your midmorning snack, eat 1 cup of melon balls of your choice. You could also double the egg whites and yolks and eat half for breakfast and reheat the other half a few hours later after your stomach empties. While avocados are a little high in fat and fat may be a GERD trigger, avocados may be an exception to the fat rule. The trick is to not binge on their creamy goodness. So, for breakfast, mash 1/4 an avocado and spread it on a slice of whole wheat toast. For your snack a few hours later, have 1/2 cup of yogurt with 1/2 cup of blueberries. Instead of buying presweetened, fruit on the bottom yogurt, make a simple yogurt parfait sweetening it with a little acid reflux soothing honey and some fresh, sliced fruit. The yogurt is soothing and adds a nice dose of protein and you can break the parfait into two servings so you don't overfill your stomach. Whisk two tablespoons of honey into 2 cups of plain, nonfat yogurt. For breakfast, eat one cup of the yogurt with 1/2 cup of sliced strawberries and then eat another cup with 1/2 cup of strawberries a few hours later after your stomach has emptied. You can add variety by selecting other GERD-friendly fruits like melons, bananas, or peaches. When soaked, chia seeds expand into a soothing gel which can help fight acid reflux. You don't want to eat too many because they still have fat in them, but they also offer protein and fiber, so they make a great breakfast food. In a bowl, whisk one cup of skim milk (or low-fat, non-dairy milk like rice or almond milk) with 2 tablespoons of honey, 1/4 cup of chia seeds and 1/2 teaspoon of alcohol-free vanilla extract. Cover and refrigerate overnight. The next morning, eat half for breakfast and half for your morning snack, accompanied by 1/2 cup of a low-acid fruit like pears or nectarines. The challenge with lunch is, once again, keeping it low-volume but nutritionally dense. One way to do this is to eat half your lunch at lunchtime and another half two to three hours later. Consider any of the following lunches. Make a tasty tuna salad using plain, 1/2 cup of nonfat, plain yogurt whisked with 1 teaspoon of Dijon mustard, 1 cup of water-packed tuna and 1 finely chopped celery stalk. Spoon half the mixture into half a whole wheat pita and save the other half of the pita and the other half of the tuna salad for a later snack or for tomorrow's lunch. Add 1/4 cup of spinach, kale leaves, or bean sprouts to the sandwich for some added crunch and nutrition. Be sure to refrigerate the leftover tuna salad in a tightly sealed container; it will keep for up to three days. Soup is a great meal on the go because you can prep it ahead of time and then refrigerate it in single 2 cup portions. The recipe makes about four servings. Then, you can take it with you in a sealed container if you need to take it to work for lunch. Ginger is a soothing ingredient for GERD, ground turkey is low in fat and the vegetables are nicely alkaline. To make the soup, simmer the 4 cups of chicken broth with 1 teaspoon of grated, peeled ginger root. Add 2 sliced carrots, 1 chopped zucchini and 1 cup of peas until the vegetables are soft, about ten minutes. Brown 1/2 pound of ground turkey breast and add it to the soup. Simmer for five minutes. Season to taste with salt (not pepper, which can aggravate GERD). Vary the soup by using chopped skinless rotisserie chicken breast in place of the ground turkey or extra-lean ground beef and consider different vegetables, such as green beans or butternut squash. Avoid onions and garlic, which will aggravate the GERD. 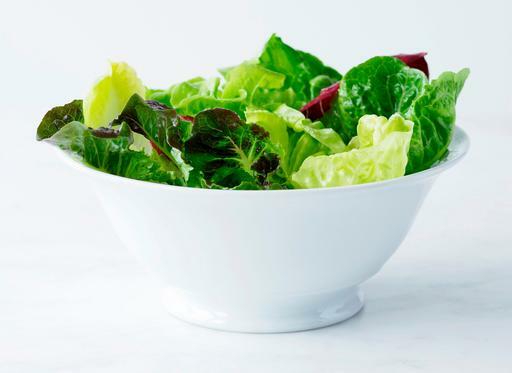 As long as you avoid GERD-causing ingredients like peppers, tomatoes, radishes, cucumber, onions, fatty dressings and vinegar or citrus based dressings, you can enjoy a tasty salad. Keep vegetables to about 2 1/2 cups per meal and meat to about three ounces to avoid overfilling your stomach and add 3 ounces of lean proteins like chopped deli turkey, skinless chicken breast, or a lean fish or shellfish like halibut or shrimp. For greens, consider kale, spinach, or chopped lettuce and add some low-acid veggies like peas, broccoli, carrots, or zucchini. To make a dressing, whisk 1/2 cup low-fat buttermilk with 1/2 cup of plain, nonfat yogurt, 1 teaspoon of honey, 1 tablespoon Dijon mustard, 1 tablespoon of chopped, fresh dill and salt to taste. You can use up to 3 tablespoons of the dressing on your salad and the rest will keep tightly sealed in the fridge for up to one week. Low-fat cottage cheese is an excellent source of protein and as long as you get the low-fat version, it's relatively low in fat, as well and it makes a great potato topping. Prick a small sweet potato or russet potato with a fork and microwave it for about six minutes, or until it is soft. Top with 1/2 cup of cottage cheese and serve with 4 baby carrots on the side or half a piece of fruit. You can season the potato with salt to taste, but avoid pepper. If the potato is large (more than about 1/2 cup in volume), then make it into two meals and eat the second half a few hours later or for tomorrow's lunch. Nonfat cream cheese gives you a fat-free option for a tasty sandwich or wrap. Spread a whole wheat tortilla with 1 tablespoon of nonfat cream cheese and 2 teaspoons of Dijon mustard. Add three ounces of deli turkey slices and 1/4 cup of alfalfa sprouts. Wrap, cut in half and enjoy half now and half later. You can also use deli ham slices in place of the turkey, or extra-lean roast beef slices. Dinner probably needs to be your lightest meal of the day or you need to eat it relatively early (at least four hours before you go to bed), because lying down after eating can aggravate GERD symptoms. Typically, it's best to make dinner your last meal of the day and not have an evening snack. You can steam brown rice on the weekends and then save it in one cup servings in the freezer. It makes weeknight meal preparation really easy. Make a stir-fry rice bowl by heating two teaspoons of oil in a nonstick skillet on medium-high. Add 3 ounces of thinly sliced boneless, skinless chicken breast, 1 tablespoon peeled and grated ginger root, 1 carrot, peeled and chopped and 1/2 cup sliced shiitake mushrooms. Cook, stirring, until the chicken is browned and the veggies are soft, about five minutes. In a small bowl, whisk together 1/2 cup of chicken broth, 1 tablespoon of cornstarch, 1 tablespoon of brown sugar and 1 tablespoon of soy sauce. Add to the chicken and simmer until thick, about two minutes. Serve spooned over 1 cup of steamed brown rice. You can vary this by adding different veggies, such as broccoli or pea pods and you can replace the chicken with an equal portion of tofu, ground turkey, or extra-lean ground beef. Whether you like your pasta the traditional way, made with wheat or whole wheat, or you prefer it made from zucchini noodles, topping it with shrimp and fennel makes a tasty meal. Fennel is another GERD soother, so it's a good choice for dinner. Cook your pasta according to package instructions and drain it. Limit your serving size to a cup or less. In a small saute pan, heat 2 teaspoons of oil and add the 1/2 cup of chopped fresh fennel and 1/2 teaspoon of Italian herbs. Cook, stirring, until the fennel is soft, about five minutes. Add 3 ounces of peeled and deveined shrimp and 1/2 teaspoon of salt. Cook, stirring, until the shrimp is pink, one or two minutes more. Add the pasta and toss to coat. Chop four basil leaves and toss with the pasta. 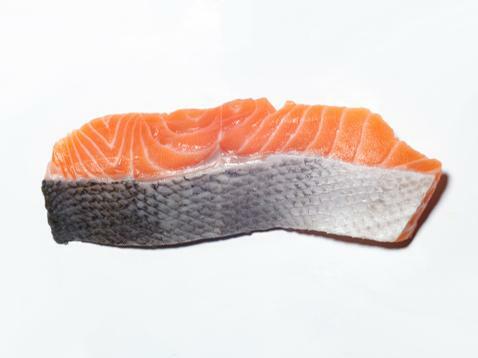 Salmon has a slightly higher fat content, but grilling it allows excess fat to drip off. Cook with the skin on, but remove it before eating to lower fat content. To make, in a small bowl, whisk together 2 tablespoons of soy sauce, 1/4 cup chicken broth and 2 tablespoons maple syrup. Place a 3-ounce salmon filet, skin-side down, in the bowl and allow it to marinade for about five minutes while your grill heats. Brush the grill with 1 tablespoon of oil and place the salmon flesh-side down on the grill. Grill about five minutes per side, until the salmon is opaque. Meanwhile, in a small bowl combine 1/2 apple, peeled, cored and julienned and 1/4 cup julienned fennel. In a small bowl, whisk together 1 tablespoon grated ginger root, 1/4 cup plain, fat-free yogurt and 1 tablespoon of honey. Toss with the apples and fennel. Serve the slaw on top of the salmon. When you're in a hurry, pre-made rotisserie chicken from the grocery store is your friend. Pick one up on your way home from work. Serve yourself three ounces of the breast with the skin removed and let the rest of your family enjoy the other parts of the chicken. You can save leftover chicken breast for use in salads later in the week. Serve alongside mashed sweet potatoes. Peel and chop two sweet potatoes and bring them to a boil, boiling until they are fork-tender (about 10 minutes). Drain the potatoes and put them in a bowl. Add 1/4 cup of chicken broth, 1/4 teaspoon of nutmeg and 1/4 cup of skim milk or low-fat, non-dairy milk. Mash with a potato masher and add salt to taste. A serving size is 1/2 cup, but the rest will keep well in the fridge for about four days. Enjoy along with 1/2 cup of steamed veggies, such as cauliflower, green beans, or broccoli. Burger night doesn't need to be a thing of the past; you just need to reduce portion sizes and make a few substitutions. Keep portion sizes in check by serving a three-ounce ground turkey patty open faced on a piece of whole wheat toast or the bottom half a hamburger bun and topping it with a flavorful low-fat pub sauce. Replace fries with baby carrots for a nutritious meal. Add seasoning to your turkey burgers by adding 1 teaspoon of fish sauce to 6 ounces of ground turkey breast. Add 1/2 teaspoon of salt, 1 teaspoon of sugar and 1 teaspoon of dried, fresh thyme. Form it into two 2-ounce patties and grill on high heat about four minutes per side, until the patty is cooked through. Toast the bottom of your bun on the grill at the same time. 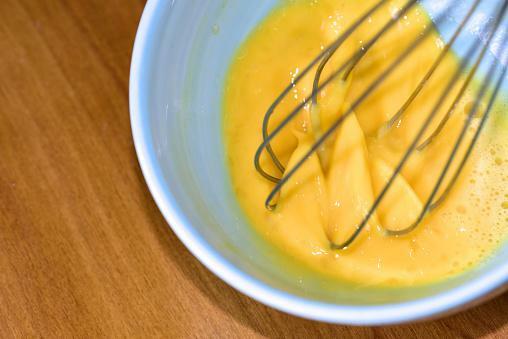 Meanwhile, in a small bowl whisk 1/4 cup of plain, nonfat yogurt, 1 tablespoon of soy sauce, 1 teaspoon of Worcestershire sauce, 1 teaspoon of Dijon mustard and 1 tablespoon of brown sugar until smooth. Place the turkey burgers on the bun halves and divide the sauce among the two turkey burgers (the sauce will keep in the fridge for up to four days), drizzling it over the top. 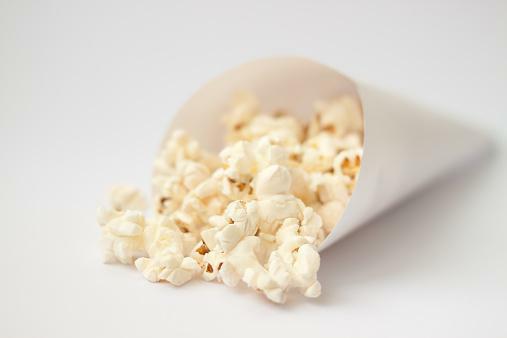 Because you are eating small portions for meals, you'll want to include snacks. As mentioned in the breakfast section, they can be the second half a meal, or you can enjoy the following small snacks, as well. Typically, you'll probably want a midmorning and midafternoon snack, although it's best to avoid the after dinner snack to avoid bedtime flare-ups. Even when you have GERD, it's important you consume plenty of fluids. You'll want to avoid things like coffee, tea, carbonated beverages, energy drinks, lemonade and alcoholic beverages for various GERD-triggering reasons. Your best bed is to drink pure water, but it's best to consume 30 minutes before or one hour after you eat and not with meals, because having extra water in your stomach increases intra-abdominal pressure that can trigger GERD. Drink only about one cup at a time, but try to get at least 8 cups of water per day. You can also enjoy apple juice or white grape juice (about 1/2 cup at a time unless you have blood sugar issues, when you should avoid it) and herbal tea, particularly ginger herbal tea, is an excellent choice for hot beverages. Chew foods well and eat slowly to avoid swallowing excess air that can increase intra-abdominal pressure. Chew with your mouth closed to eliminate excess air swallowing. Drink beverages before or after meals and snacks, not during them. Lean meats like fish, turkey breast (skinless), chicken breast (skinless), shellfish, fish and extra-lean ground beef and vegetarian proteins like tofu are all good choices. You can change many of the recipes above by using a different protein and different vegetables. Good vegetable choices include mushrooms, peas, carrots, broccoli, cauliflower, fennel, jicama, potatoes, sweet potatoes, squash and zucchini. Flavor foods with fresh herbs (except garlic, chilies and chives). You can also use a teaspoon citrus zest (but not the juice, which is too acidic) to add flavor to soups, dressings and sauces. You don't have to be at the mercy of your GERD symptoms. By eating small meals containing ingredients that won't trigger your GERD, you can be symptom-free.